Bruce Headley was born on Feb. 17, 1934, 10 months before Santa Anita opened on Christmas Day, 1934. More than eight decades later, both are still kicking. 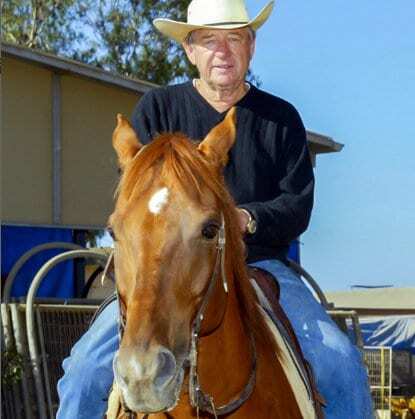 Headley, best remembered as the trainer of Kona Gold, for whom next Saturday's Grade II, $200,000 sprint at 6 ½ furlongs is named, is still a fixture at Santa Anita, where his Aunt Flora brought him as a kid when he was five years old. Kona Gold was pure race horse. A Kentucky-bred son of Java Gold from the Slew o' Gold dam Double Sunrise, the bay gelding owned in part by Headley won nearly half his starts, 14 of 30, with seven seconds and two thirds, earning $2,293,384. Sold as a yearling for $35,000, he was the champion sprinter of 2000, winning an Eclipse Award that year in which he captured the Breeders' Cup Sprint at Churchill Downs in a dazzling 1:07.60 for six furlongs. He raced until he was nine years old. “He could run faster than anybody and he stayed sound,” Headley recalled. “He had real good bone structure. He was just an honest race horse and when he ran, he ran. “When he got too old to race, he became a very good pony. He'd lead the horses back and forth to the track, and even though some of them had a wild brain, he knew he had a job to do and he did it. Kona Gold was euthanized at the age of 15 on Sept. 25, 2009, after fracturing his left front leg while exercising in his paddock. But for Bruce Headley and others of his ilk who sanctify the equine ghosts of Santa Anita, Kona Gold lives on in perpetuity. This entry was posted in NL List, People and tagged breeders' cup sprint, bruce headley, eclipse award, Horse Racing, Java Gold, Kona Gold, lead pony, santa anita, santa anita park by Ed Golden/Santa Anita. Bookmark the permalink.